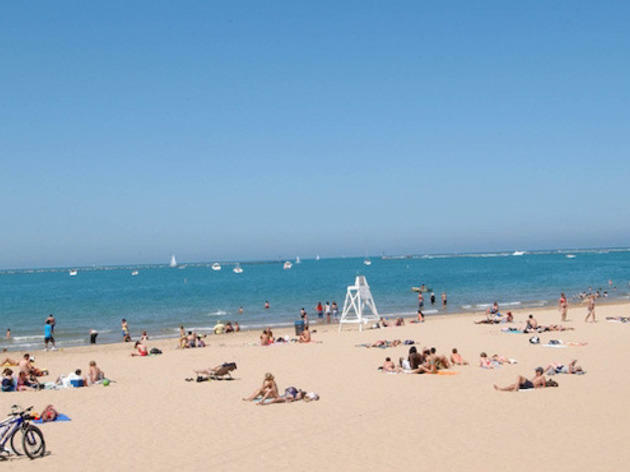 Summertime in Chicago means one thing: Spending as much time as humanly possible out in the sun. 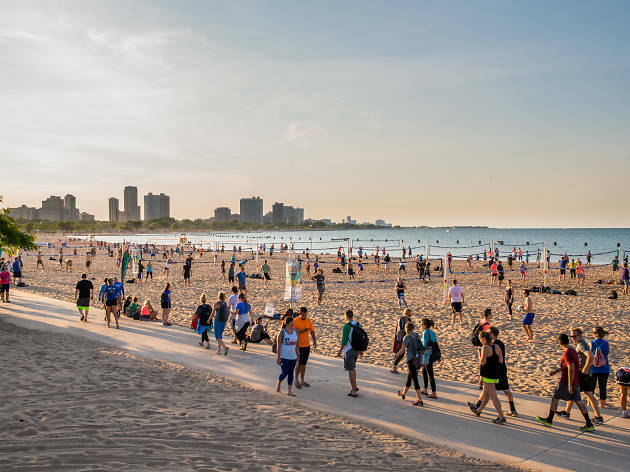 There's no shortage of awesome outdoor things to do in Chicago, and while hanging on patios and hitting up summer music festivals are excellent choices, don’t forget about the city’s glorious beaches. 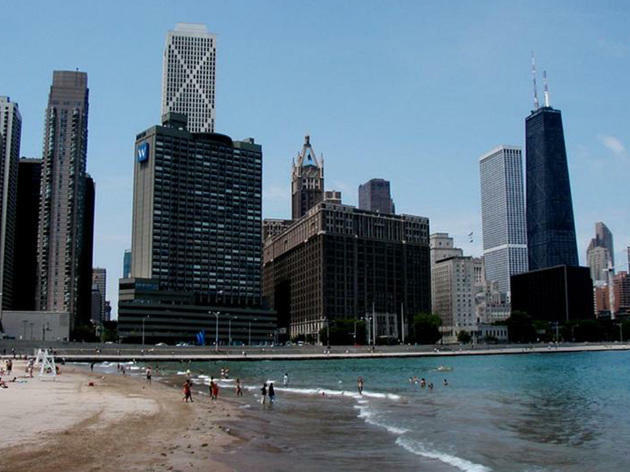 With sandy lakefront hangouts dotting our city’s eastern boarder, you have no excuse not to throw on a suit and soak up the sun. They’re only open for about three months, after all, so hop to it! 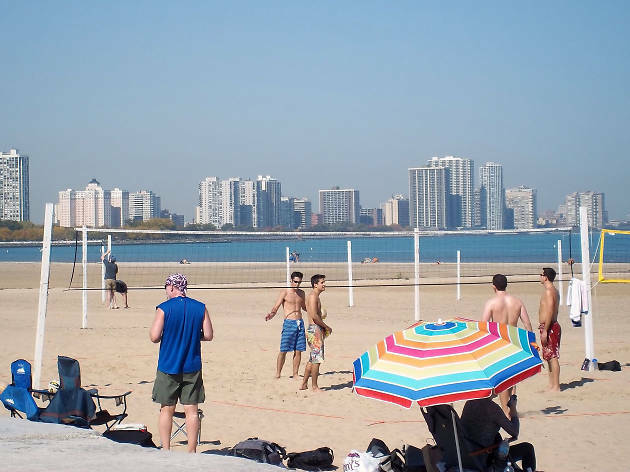 One of Chicago's most popular places to sunbathe, this Gold Coast beach has volleyball tournaments, a restaurant and a spectacular view of the skyline. 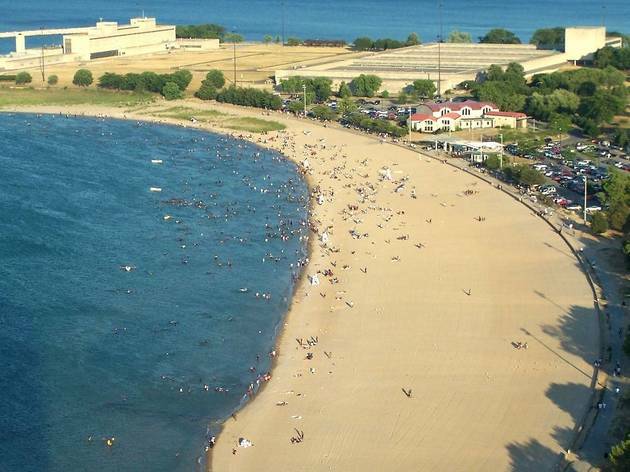 Part of the 60-acre Rainbow Park, this South Side beach is adjacent to one of Chicago's oldest public gardens. 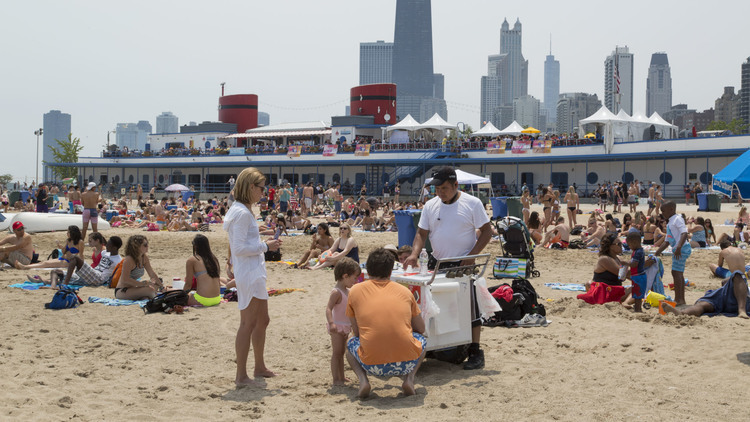 As one of Chicago's most popular summertime hangouts, North Avenue Beach features a unique beach house inspired by a beached ocean liner. 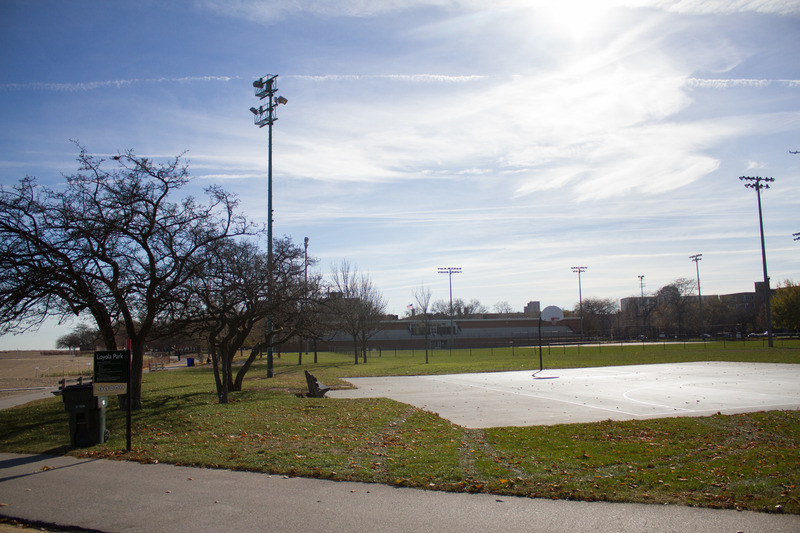 Visitors can hit the volleyball courts, grab a snack or rent a bike. 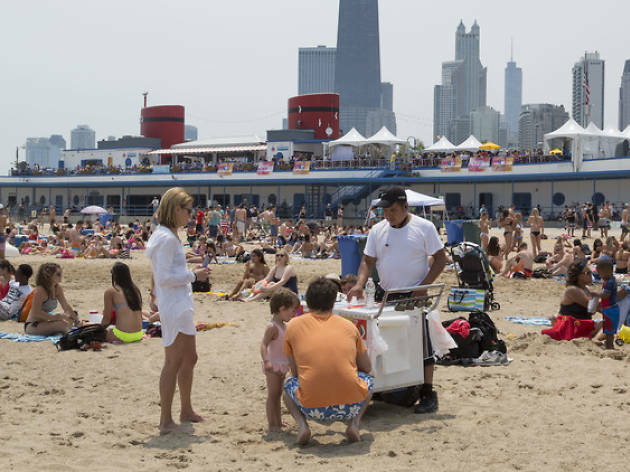 Be warned: North Ave is one of the busiest beaches in the city. 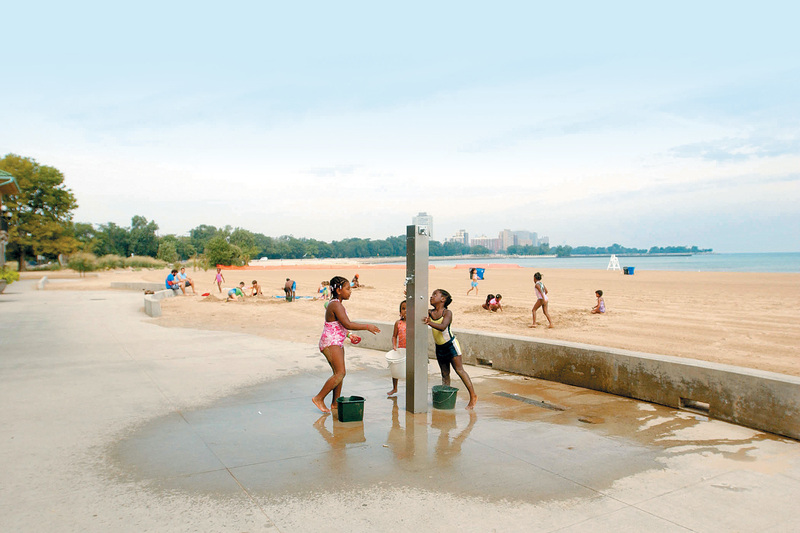 This South Side beach—known as 31st Street Beach before it was renamed in 2015 for Burroughs, the founder of the DuSable Museum who later became a Harold Washington appointee to the Park District Board of Commissioners—features amazing views of the Chicago skyline in addition to a harbor for small boats. 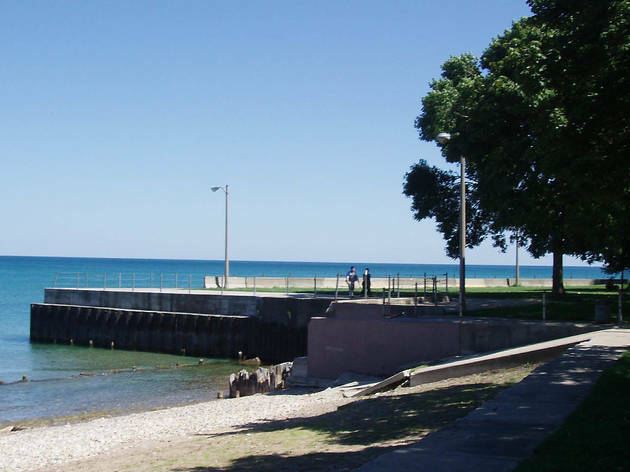 A nearby park includes a picnic area and a public fishing dock. 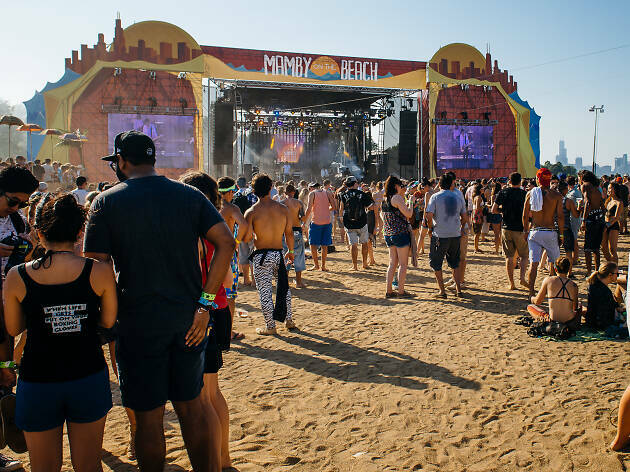 If your friends tell you they're going to Hollywood Beach, this is where they're headed. 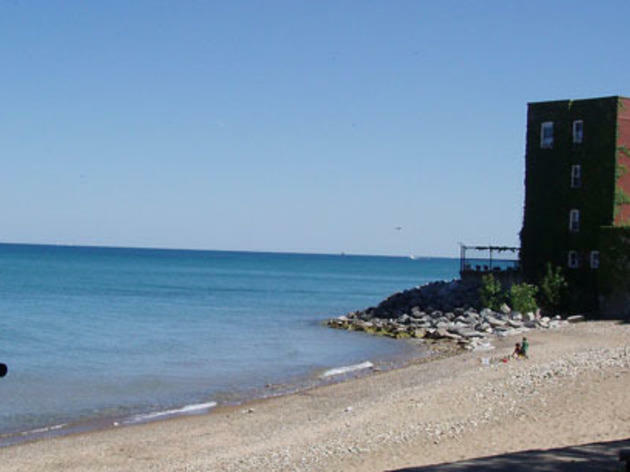 Located in Edgewater, Osterman Beach has a LEED-certified beach house. 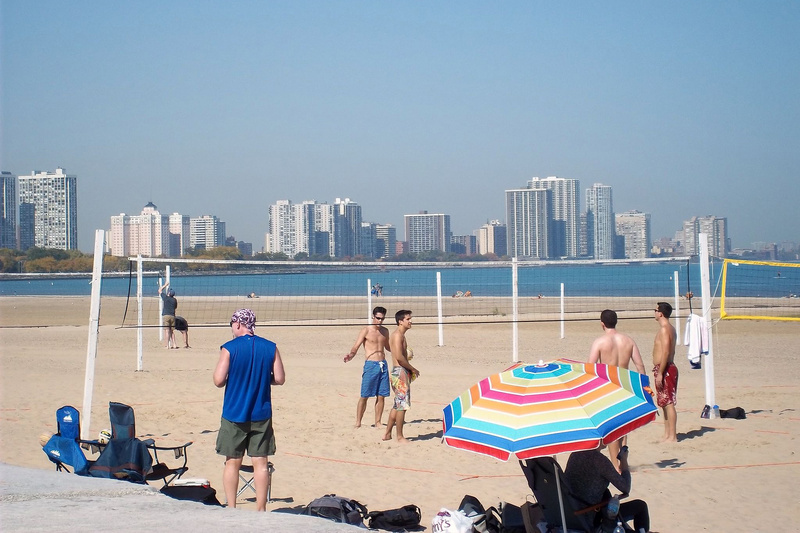 It's also (unofficially) the LGBTQ beach of Chicago. 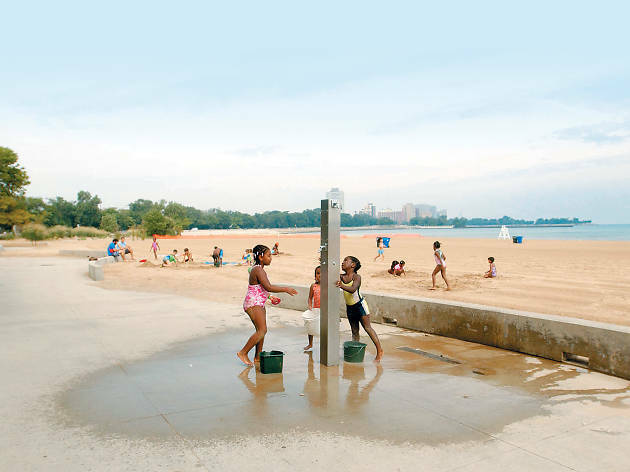 Located in Jackson Park, one of Chicago's oldest parks, 57th Street Beach is easily accessible via a pedestrian underpass near the Museum of Science and Industry. 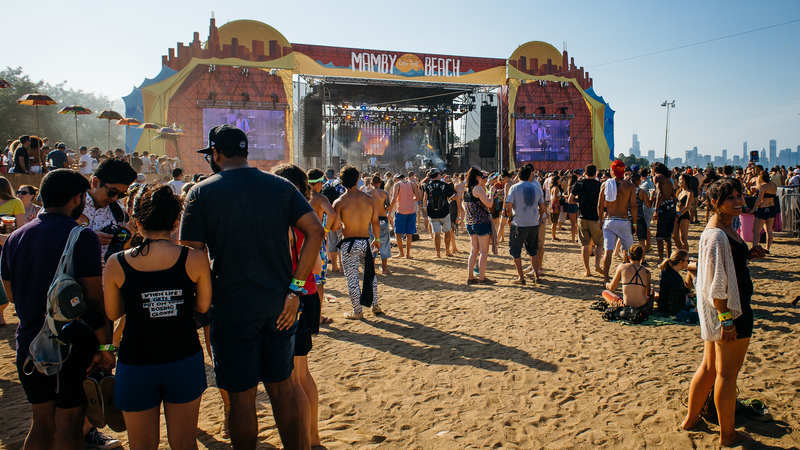 One of Chicago's newest beaches, this South Side beach hosts many outdoor festivals and concerts like Mamby on the Beach. A beautiful, colorful mural by artist Jeff Zimmerman covers the walkway to the comfort station. 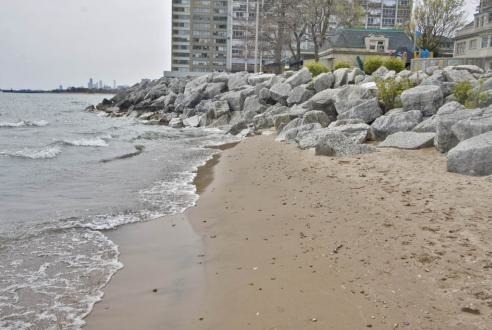 This popular Edgewater beach offers a beach house with concessions and bike rentals in addition to an adjoining dog beach for everyone's favorite four-legged friends. 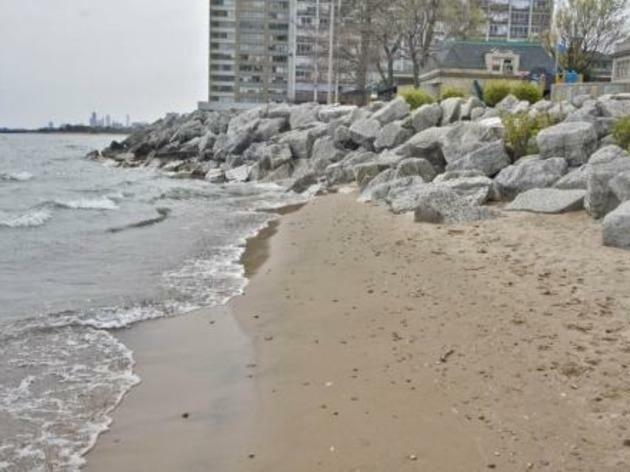 A fenced-off dog area at this popular Uptown beach provides a place for your pooch to run around. 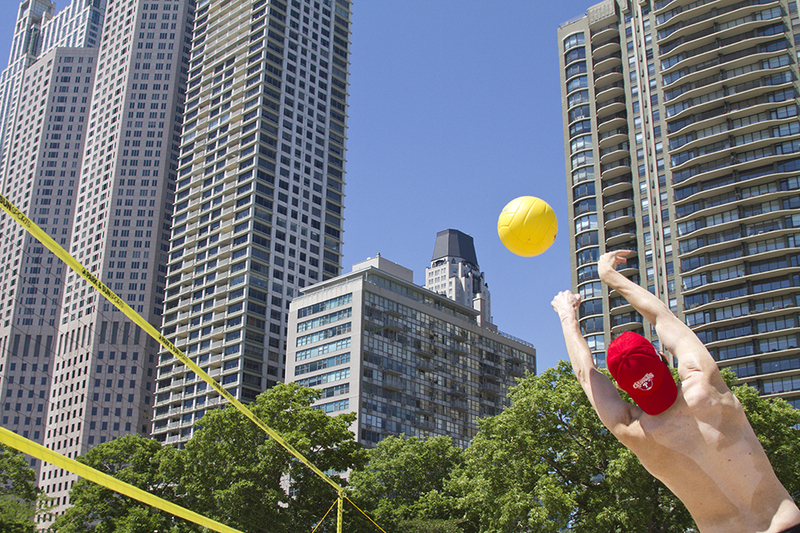 Elsewhere, visitors can play volleyball, sit under an umbrella or enjoy the free wifi. 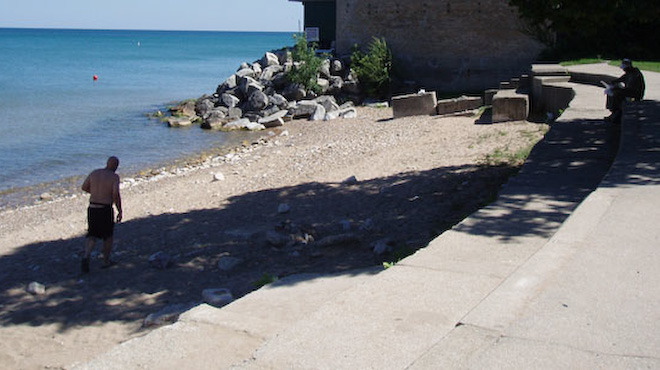 The beach is also a perfect habitat for water birds and endangered plant life. 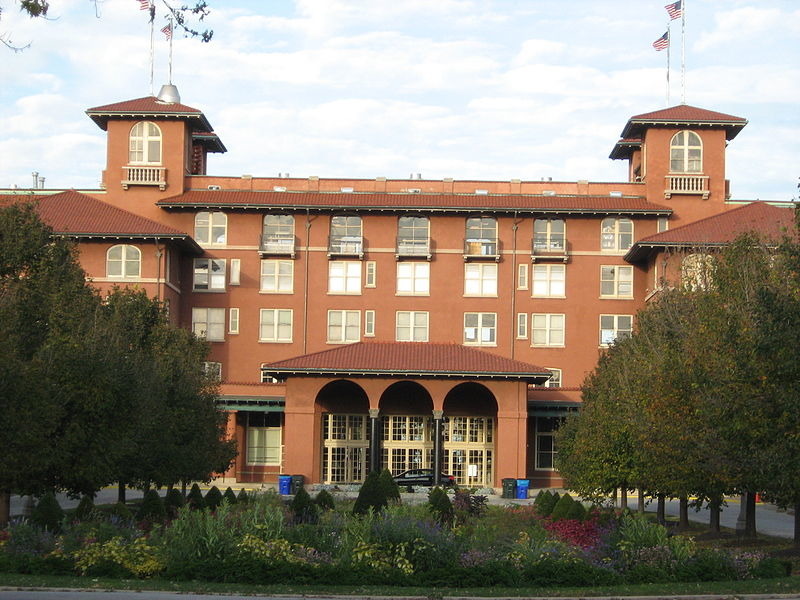 As a part of the South Shore Cultural Center, this beach has something for everyone. A country club–esque beach house, golf course, tennis courts and nature sanctuary await visitors. 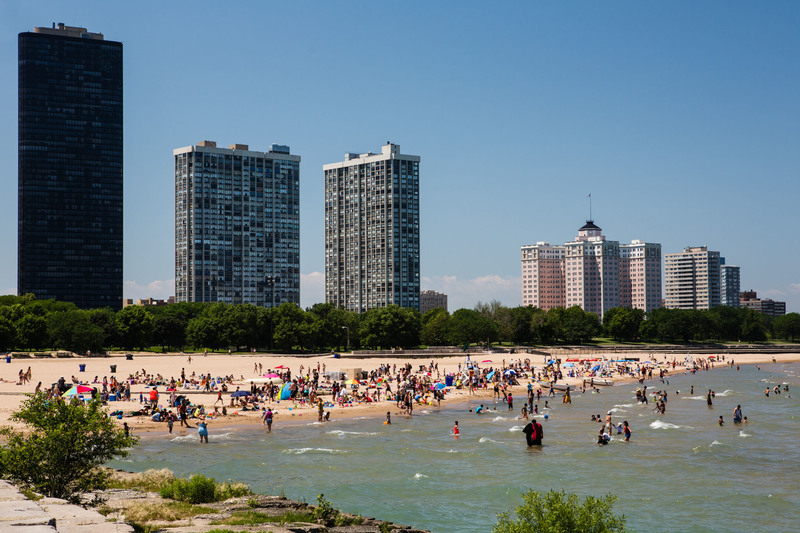 Located on Northerly Island, this Near South Side beach is just a short walk from the Museum Campus and typically hosts an array of summer events. 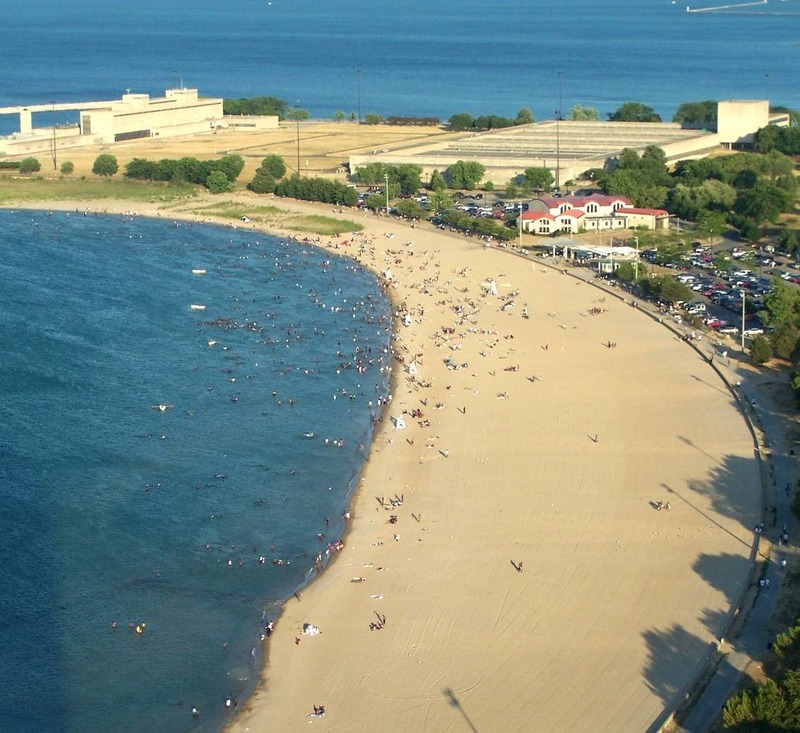 Located within walking distance of Navy Pier and sheltered by the curve of the shoreline, Ohio Street Beach offers calm waters for open water swimmers and amazing views of downtown. 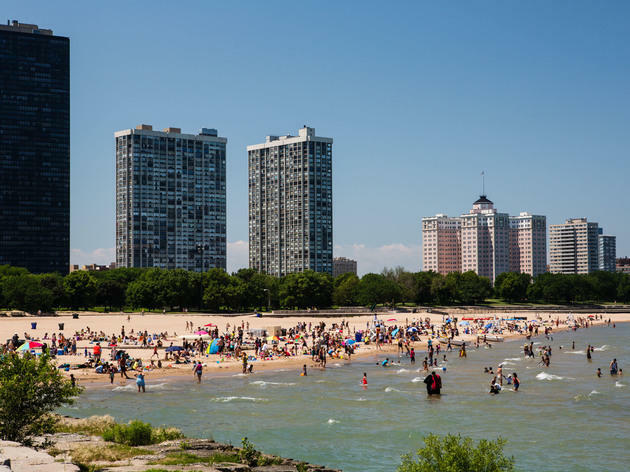 If you need a beach vacay but can't get away right this second, head to 63rd Street Beach and its beach house, where kids can kite-surf, use free volleyball equipment and go berserk in the interactive spray fountain. 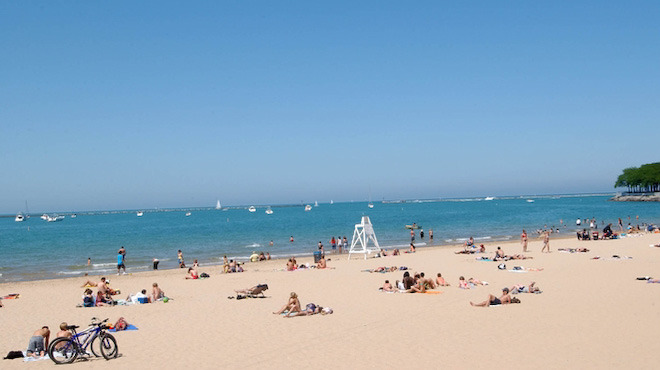 Helen Doria Beach (a.k.a. 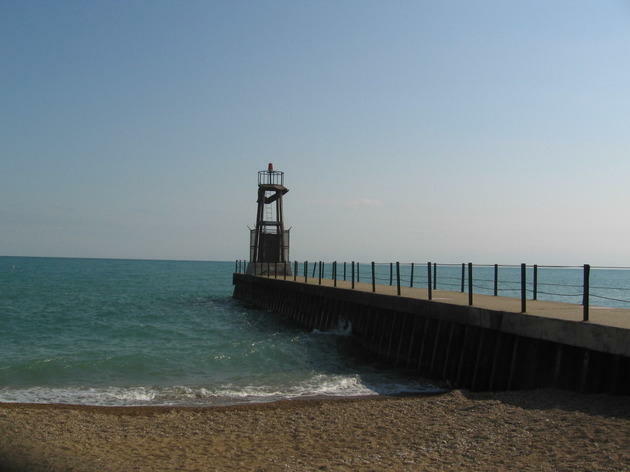 Columbia Beach) is one of Chicago's hidden gems. 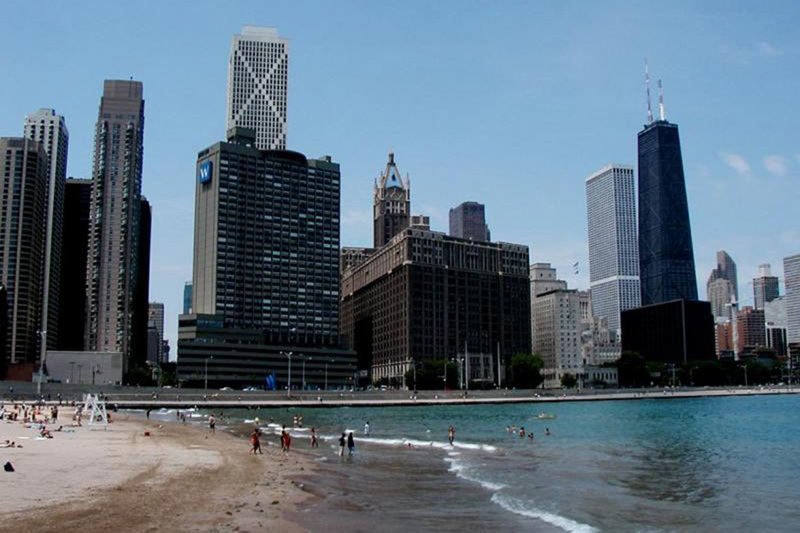 It offers great views of downtown without the crowds. 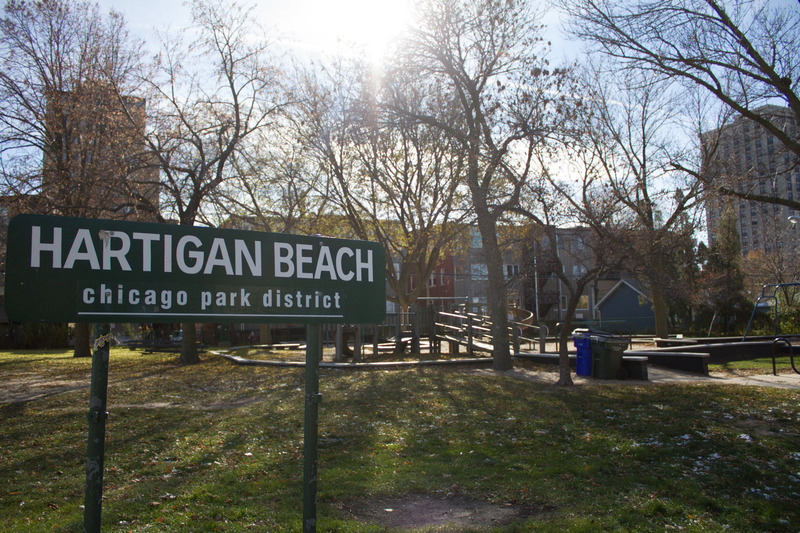 Avoid the throngs of students and head north to this out-of-the-way Rogers Park beach. 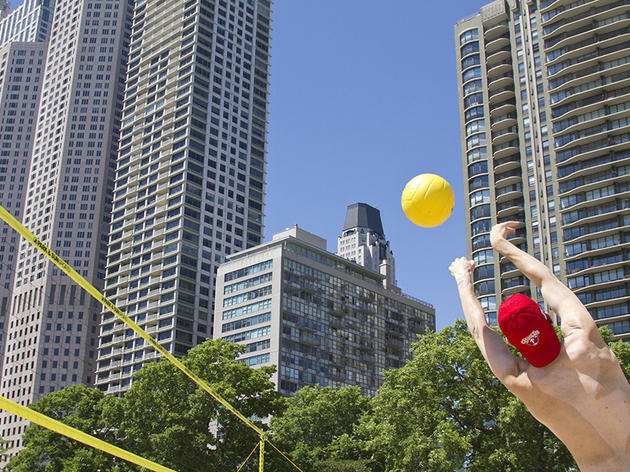 If swimming isn't your thing, try a few rounds on the nearby tennis courts. 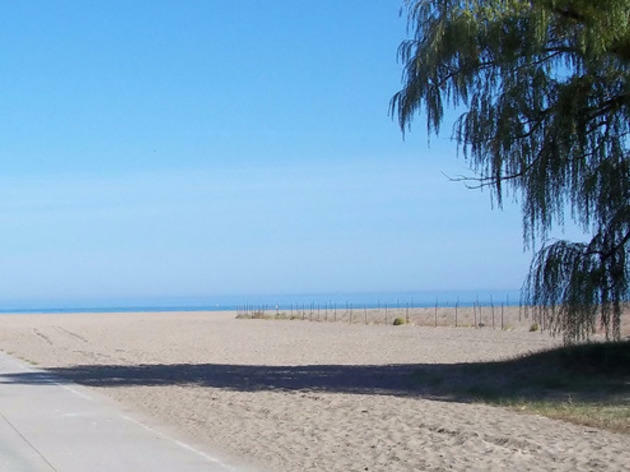 Located near the Indiana state line, Calumet Beach can be a bit of a trek from elsewhere in the city. 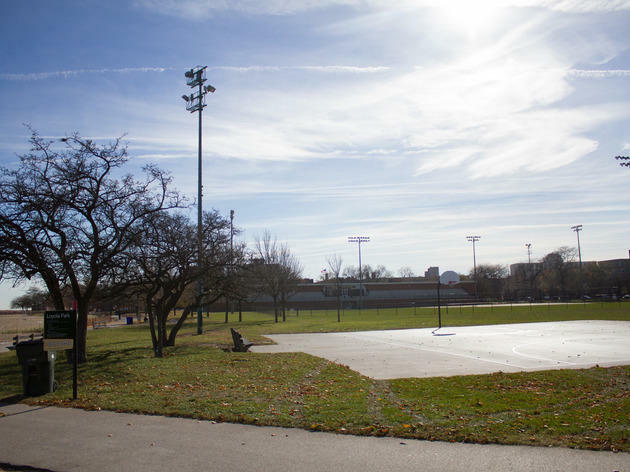 The beach connects to a sprawling park that offers an artificial turf soccer field and fields for football and softball. 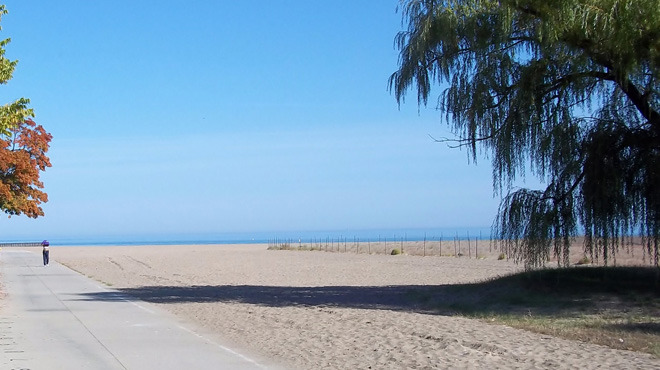 Escape from the crowds at this small Rogers Park beach, also known as Jarvis Beach, just a few blocks away from the Jarvis Red Line stop. 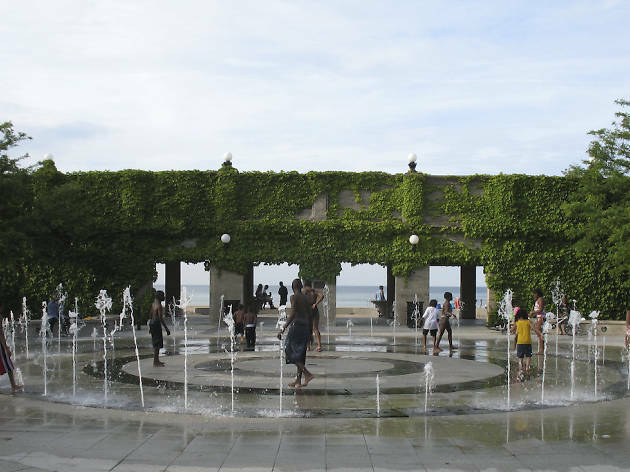 This beach attracts college students and families and features Lynn Takata's "Windform," an abstract concrete sculpture representing the movement of water. 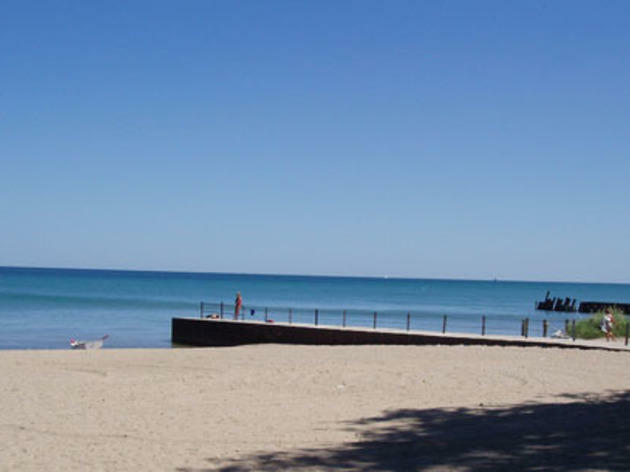 This Rogers Park beach has a kayak launch and plenty of sandy acres to enjoy. 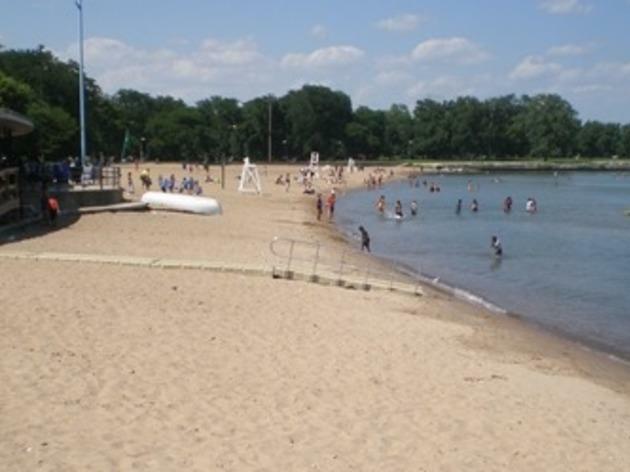 Don't be surprised if you see members of the Junior Lifeguard program training in the lake. 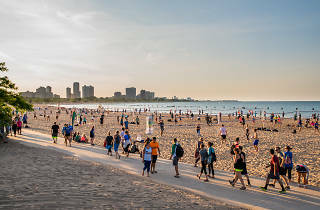 Another street-end beach near Loyola University, North Shore Beach is full of families and students sharing a relaxing environment. 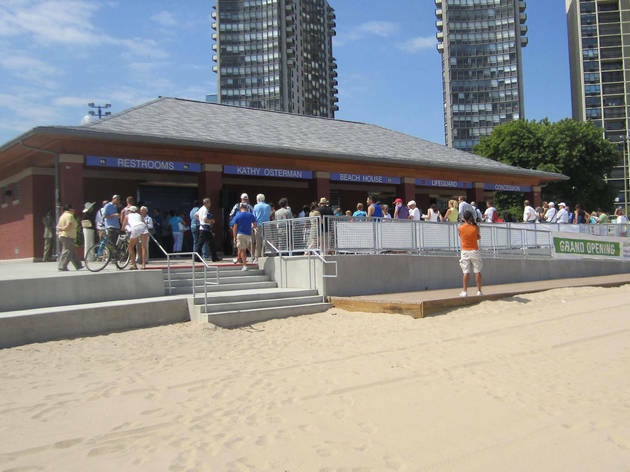 Catch some rays or take a walk out on the pier. 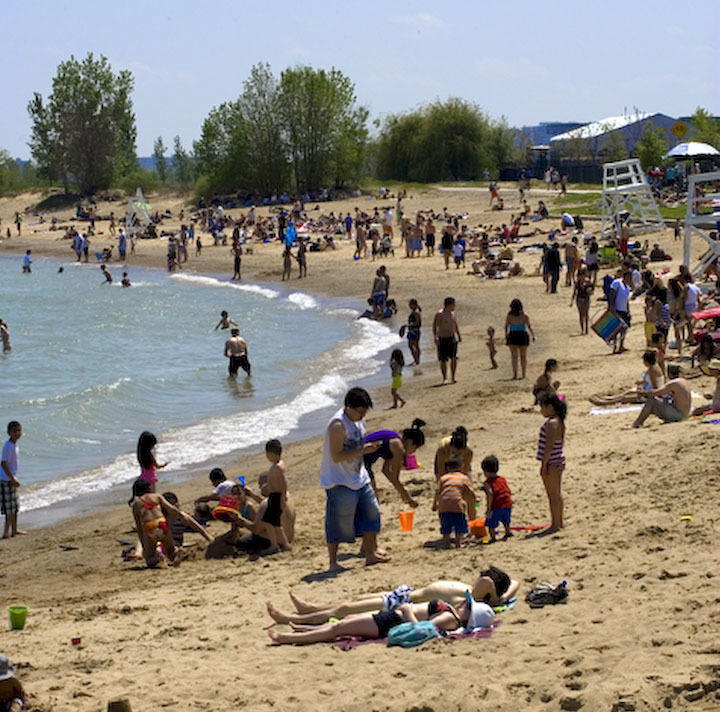 Situated next to a park, Howard Beach gives visitors the choice of soaking up rays on the sand or relaxing in the shade. 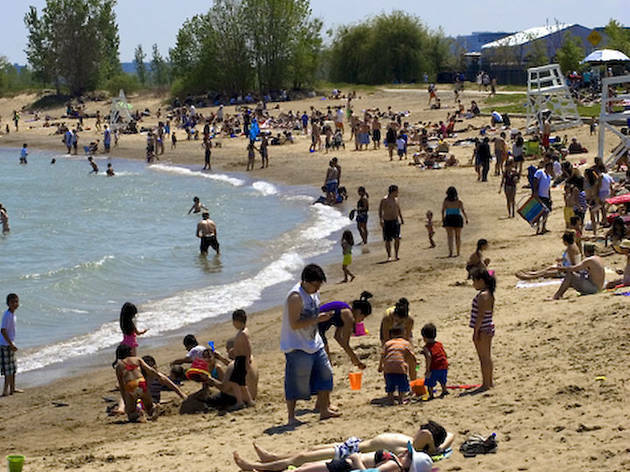 The Park District's northernmost beach gives visitors one more chance to swim before they leave the city limits. 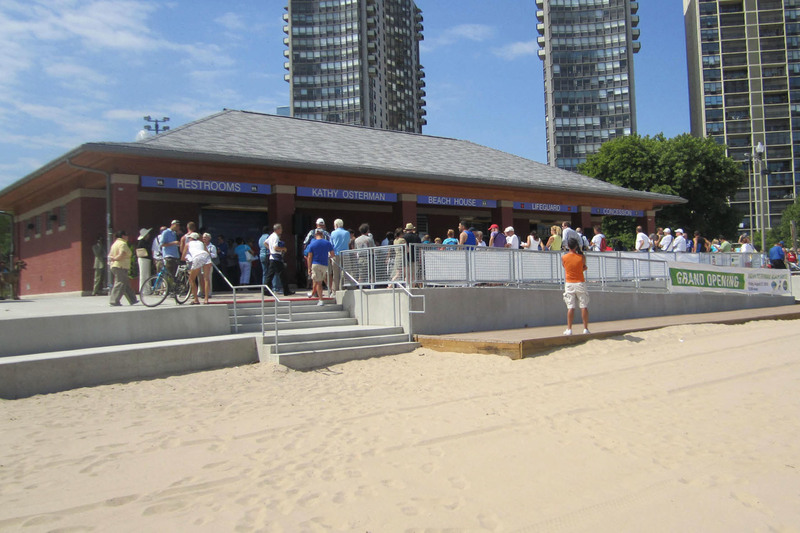 The half-block long sandbar doesn’t feature any amenities, but it’s a hidden gem. 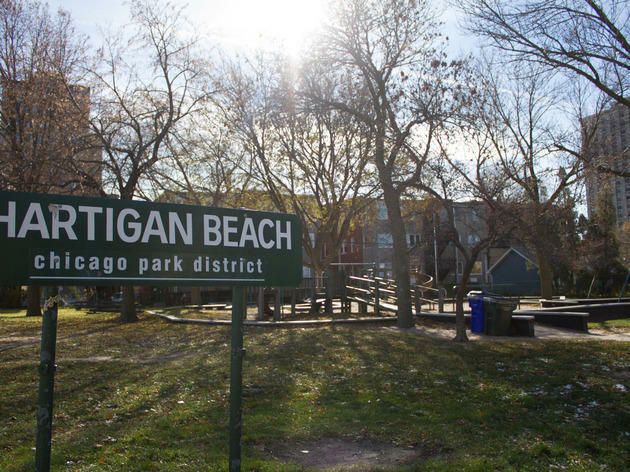 This Edgewater beach is connected to a small park and just a short walk away from the much larger Osterman Beach to the south. 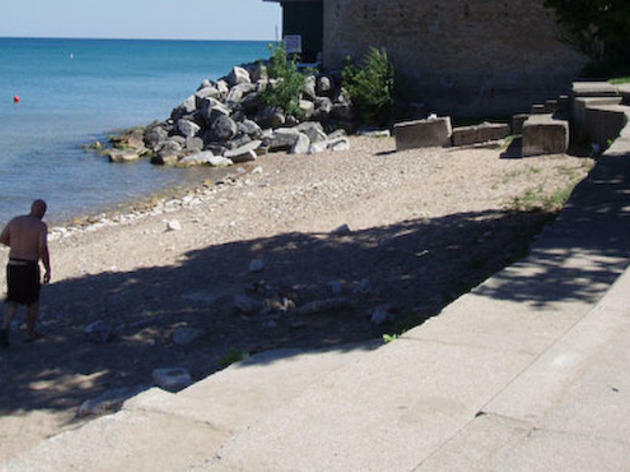 Formerly known as Albion Beach, this no-frills street-end beach is a great spot to catch some rays and enjoy the waters of Lake Michigan.